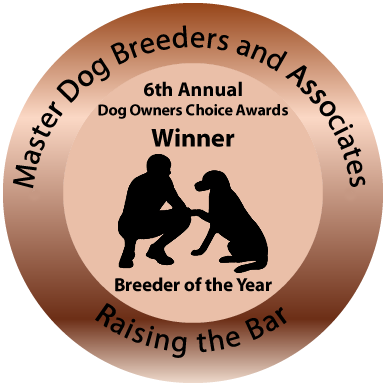 I have been associated with the ‘dog world’ for over 40 years being involved with conformation showing, obedience, performance working and breeding. I have very strong ethics and values on how a dog should be raised, what it should be fed and how it should be cared for. I believe in RAW feeding and minimum chemicals i.e. over vaccinating and the use of drugs when a natural source can be safer for the dog and more effective. The above photo is a view from my front door. This is where my puppies are born and raised - in fresh air, sunshine and a wonderful, healthy environment where all thrive and grow in the best way possible. They are born within the home, under 24/7 care, then when old enough have their own dedicated puppy yard where they have lots of toys and interactive things to keep them both amused and entertained. Take a stroll around the website to learn more about myself and my furkidz. I welcome your interest in a new puppy and look forward to hearing from you. Phone calls before 8pm EST are more than welcome but no txt messages please as they will not be responded to.